San Wu Textile Co., Ltd.
Polyester staple fiber that displays an excellent pilling resistance property due to the latest proprietary polymer modification technology. 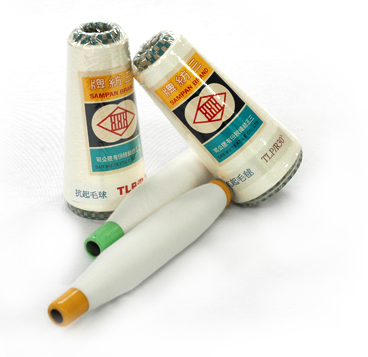 Traveler and winding speeds should be reduced accordingly because the fiber has lower strength than ordinary PET. The specially designed of fiber cross-section profile render it an excellent pilling resistance properly, and it also displays good moisture management. The hollow cross-section profile renders the material with an excellent pilling resistance property and it also displays excellent lightweight and insulating properties. Sportswear, Casualwear, Underwear, Socks, Bedding, Knits, Woven. Copyright © 2012 SAN WU TEXTILE CO.,LTD.